Izhar Patkin: The Wandering Veil is a survey of the Israeli-born, New York-based artist. Grand, labyrinthine, yet intimate, the exhibition occupies the entirety of MASS MoCA’s largest gallery. The works on display are rich with personal narrative, political metaphor, and myth, highlighting the many formal innovations Patkin has pioneered in the course of his 30-year career. The show’s centerpiece is a cycle of spectacular mural-size paintings on tulle fabric that are making their U.S. debut. 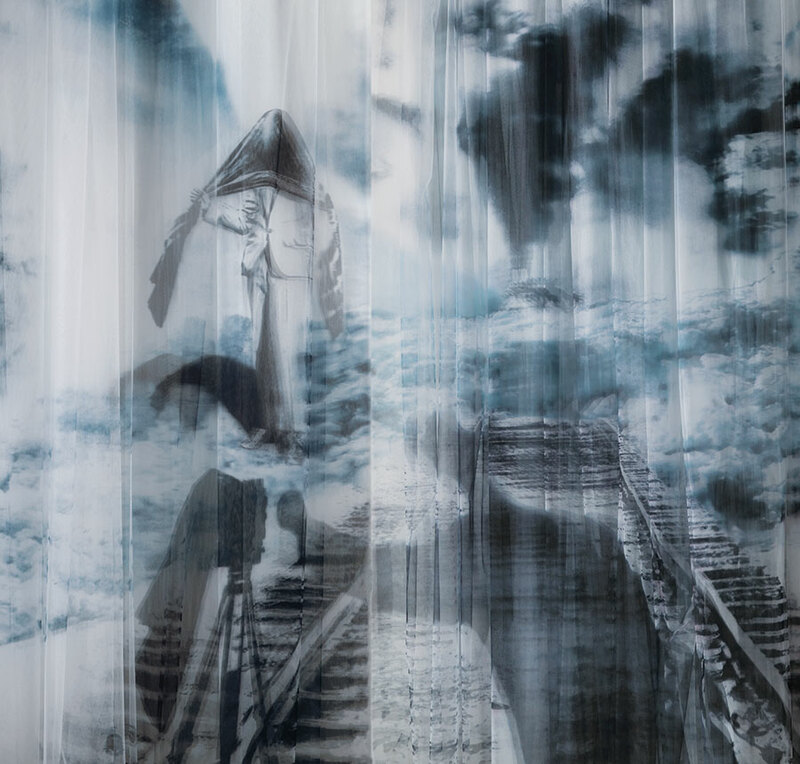 Entitled “Veiled Threats,” the cycle was inspired by the late Kashmiri-American poet Agha Shahid Ali’s writings on memory, loss, love, and exile. Co-organized by MASS MoCA, The Wandering Veil is coming to Massachusetts from the Tel Aviv Museum of Art and the Tefen Open Museum in Israel, where it premiered last year.